You’re craving that diner classic: a big, juicy BLT sandwich. But, alas, you’re watching your carbs, and you know that two slices of bread would throw off your diet for several days. 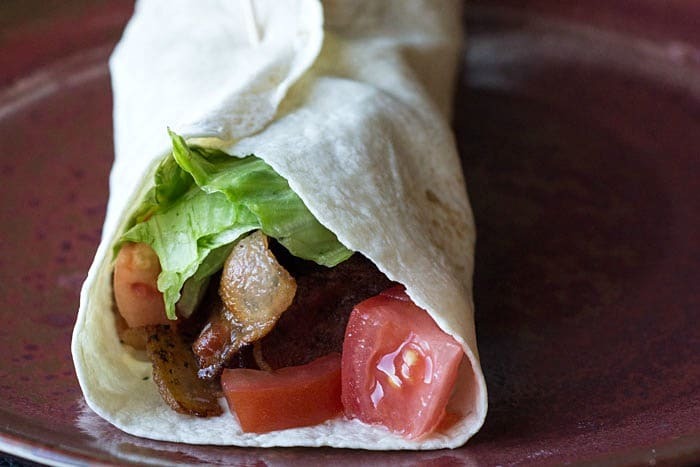 Get your bacon, lettuce and tomato fix with a lower-carb alternative: a BLT wrap! 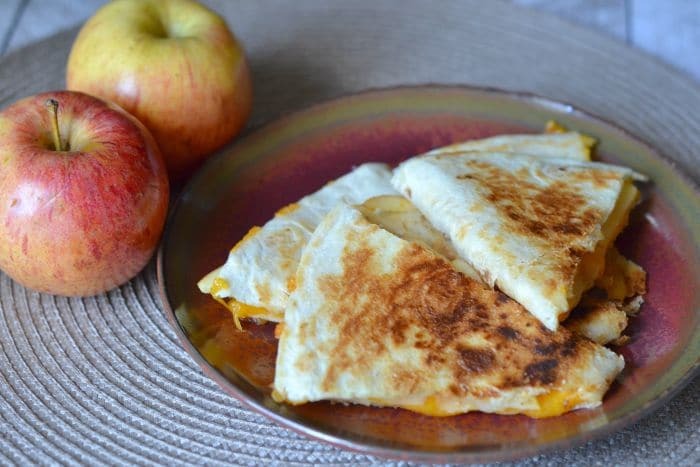 These wraps use low-carb tortillas so you can enjoy your favorite sandwich without the guilt. My husband has laughed at me on a couple of occasions when we’ve gone to a diner or restaurant that I’m unfamiliar with, and I choose the BLT. Why? Well, it’s hard to mess up bacon. As long as it’s crispy, I can’t say that I’ve ever had a bad piece of bacon or a bad BLT. It’s a safe choice. But on a low carb eating plan, bread can use up way too many of your daily carbs. The bread our son eats has about 20 carbs per two slices… Can you believe it? 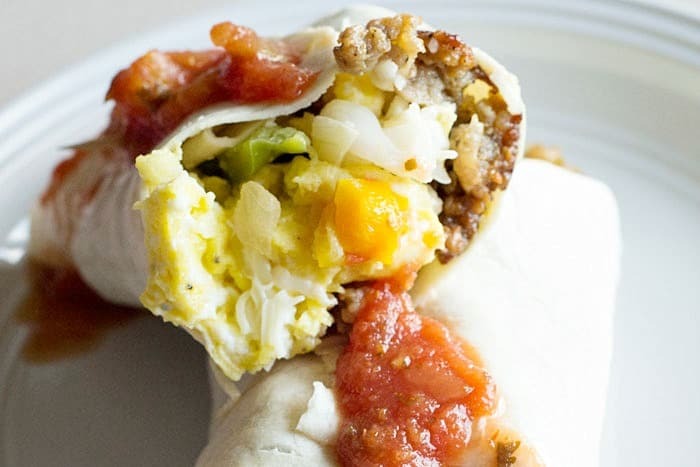 The La Banderita wraps (affiliate) have been such a lifesaver for us at only 5 net carbs per serving. 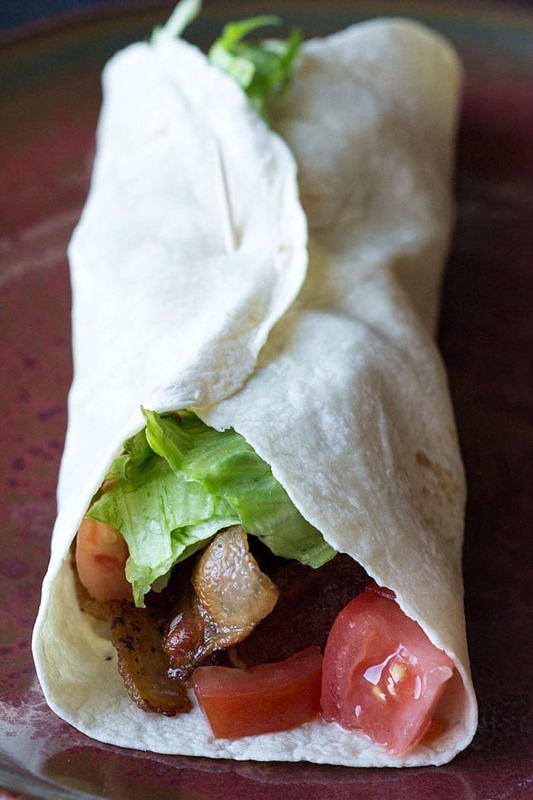 That’s what we used for these positively mouthwatering BLT wraps. Make them. Eat them. Love them. Repeat as necessary. Satisfy your craving for a sandwich with a low carb BLT wrap instead. 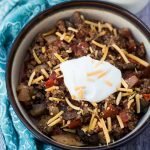 It's a fraction of the carbs, but has all of the flavor! Fry bacon until done and crispy. Warm tortillas in microwave for 30 seconds. Spread each tortilla with 2 tsp. mayonnaise (or according to your preferences). Top with 4-5 slices of bacon each, tomatoes and shredded lettuce. 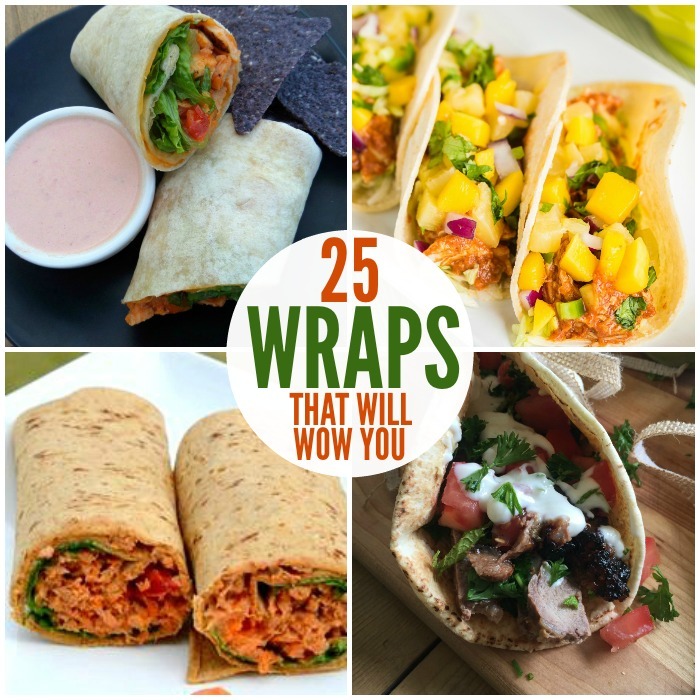 Close wraps with toothpick until ready to serve. 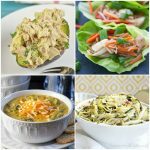 For more yummy low carb meals, visit my Low Carb Recipes board on Pinterest! 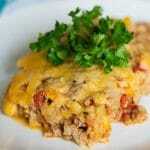 Follow Donella Crigger @ GlueSticksGumdrops.com’s board Low Carb Recipes on Pinterest.